Lindsay Campbell Johnstone of Te Puke established a Registered Angus herd largely as a result of his outstanding success in the Chiller Beef competition of the 1940’s & 1950’s. Twenty heifers from Turihaua and Balfour estate were the foundation females and Black Watch of Cricklewood was the sire. In 1967 Ranui entered four bulls in the National Sale at Dannevirke. The first bull offered was purchased by Mr John Dowding of Rangitara, for a new record for an unled bull $3000. In 1980 L.C.J retired and in 1981 Ranui Te Puke was sold and ‘Karamu’ at Kai Iwi Wanganui was purchased. The Ranui cow herd was dispersed and Ranui re-established at Karamu with the heifers, with Lin Johnstone took over the management. Ranui has continued to enter bulls in the National sale and has now entered in excess of two hundred. ‘‘Karamu’ is situated on 526ha (1300 acres ranging from 500 to 1000ft above sea level, half flat to easy rolling, balance easy to steep hill with plantation plating of Redwoods on some of the steeper areas. With the dominance of the Dairy industry, the place of the Beef cow has become much tougher and soundness of paramount importance. We deliberately sell our bulls in lighter condition than most and as a result Ranui Bulls are known for longevity and structural soundness. In an effort to maximize the influence of superior females Ranui has undertaken an extensive ET program. This herd was established in 1961 by Lin Johnstone in Te Puke and re-established at its present location in 1989. Ranui.W is calving 130 registered females, 30 of which are calved as 2-year olds. They are run under commercial conditions and the only supplement feed is meadow hay which has to be brought in because the topography means the stud is unable to make its own. 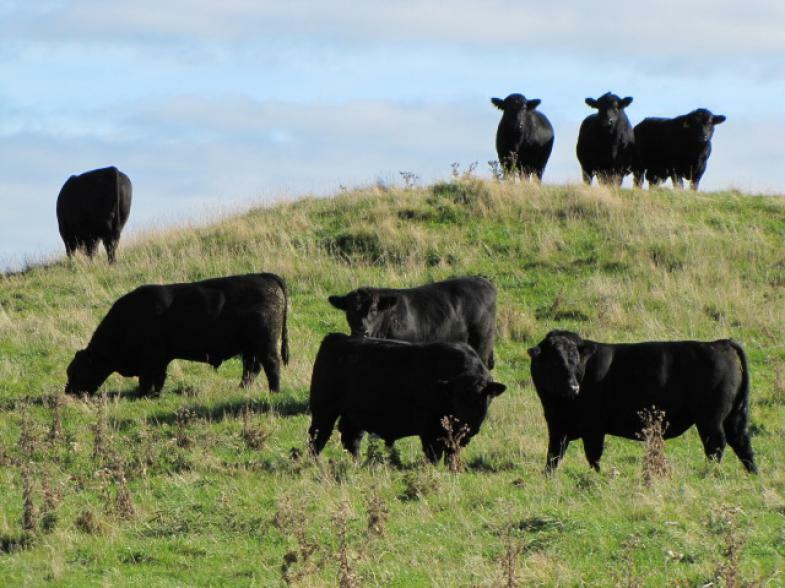 Ranui.W Angus is set on 638ha (1580 acres) of medium hill country with ash soil, wintering 4000 sheep and 520 cattle. The majority of the property is at 1800ft (550m) and above, with an annual rainfall of approx. 1800mm, often falls of snow in winter months. 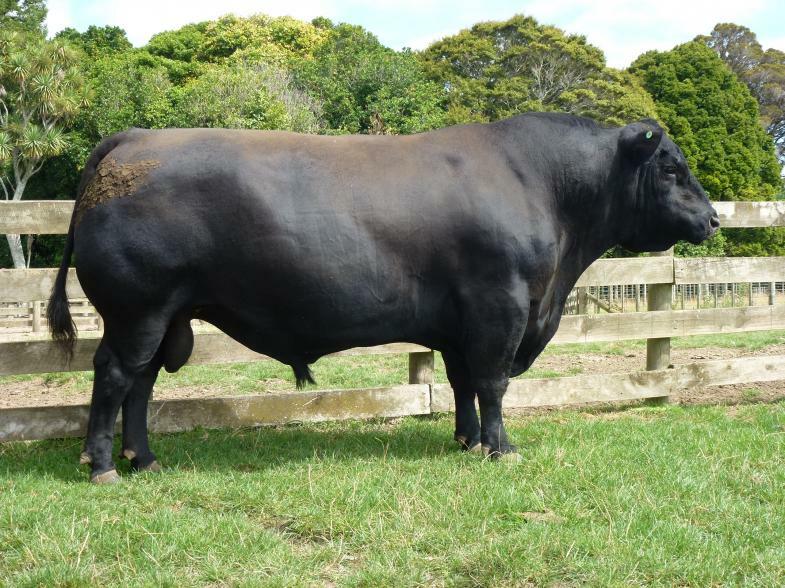 All bulls are run to 12 months of age before going to ‘Karamu’ to join the Ranui Angus bulls, where they are farmed together and sold in combined sales. The M/A cows don’t calve until the beginning of September and the lambing isn’t until early October because this suits our spring growth. As part of our property management, we are trade in steers. Buying R2 and selling as R3. These are used for conditioning pastures. Rangitatau is a partner in ‘Kumanu’, which is the brand of our lamb that we export to Europe. Producing registered cattle off Hill Country where soundness, fertility, and survivability are sustainable. As the commercial cattle are being pushed further back in to the harder country by the Dairy industry. We believe our stock are able to handle these harsher conditions as a result of the country they are breed on.